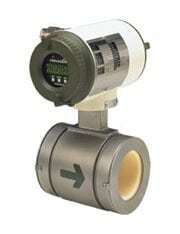 The ADMAG AXF is a magnetic flow meter designed to tackle the most severe applications. It has many user-friendly functions including an electrode adhesion level diagnosis function, infra-red switches which can be used for setting parameters without opening the case cover and the ability to change the direction of electrical connection on the site. 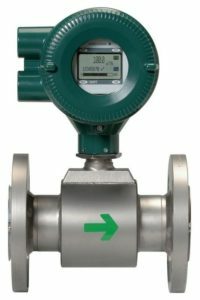 The ADMAG AXR two-wire magnetic flow meter can be installed in the two-wire system without any AC power source, drastically reducing the initial instrumentation cost. The ADMAG AXR has user-friendly functions such as a full dot-matrix LCD indicator, electrode adhesion level diagnosis function and a multi-lingual display. The magnet switches can be used for checking and setting parameters without opening the case cover. The ADMAG CA magnetic flow meter picks up the electromotive force generated in a fluid by electrodes provided outside a ceramic pipe through the capacitance of the pipe. 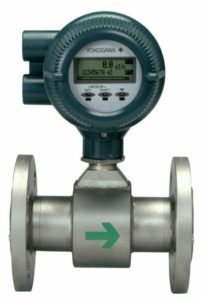 In addition, the flow meter employs a prominent high-frequency excitation method that reduces flow noise in low conductivity fluid. The ADMAG CA magnetic flow meter is excellent at measurement in ultra-low conductivity fluids down to 0.01 microS/cm, adhesive fluids, or slurry fluids.